Follow a couple of fitness inspiration pages on instagram and you will most definitely have heard about meal prep, or maybe your PT has mentioned it to you. But what is it? And how do you do it?? Well the good news is…..it doesn’t have to be just chicken and rice haha. I’ve had a few different people ask me how to do meal prep, so I thought I’d share with you a couple of my tricks and favourite recipes J and even if you’re already a whiz at whipping up your meals in advance….maybe you can throw some tips my way, or maybe this might give you some new inspiration….who knows, lets just see. Lunch: Now here you need to think about what you have access to at work or school….like if you don’t have anywhere to heat something up, probably take something that you know you enjoy cold. Really you’re options are endless with Lunch, try to get a good balance of all the macronutrients needed though. I’m super boring and a lot of the time will just have some kind of spiced chicken, brown rice and some mixed veggies hahaha exciting hey. Afternoon Snack: Obviously you can have morning tea snacks for afternoon tea and vice versa, as I said this is what my basic meal prep looks like, and I like to have sweet stuff in the morning and savoury in the afternoon. 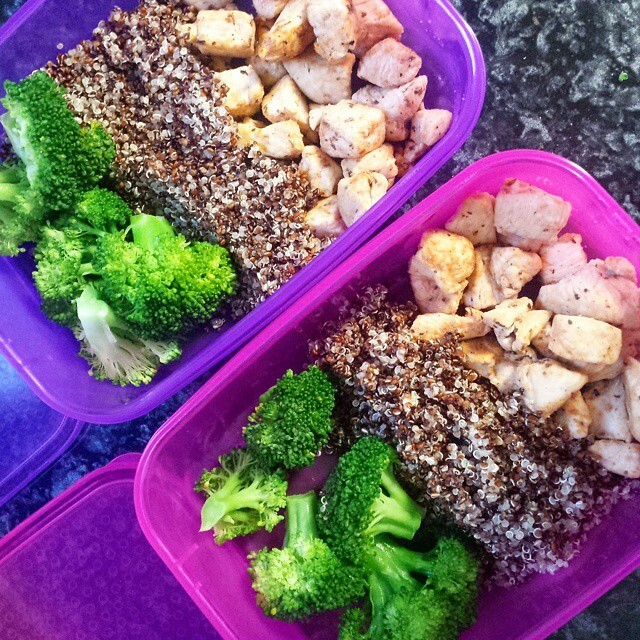 So there you have it…..this is how I meal prep, you will probably do it differently, or maybe its very similar. Either way, I hope I gave you some inspiration, ideas maybe…or yeah, perhaps you have some tips for me on how I can do it better. Also….DRINK LOTS OF WATER.